In honor of October and all things skeletal I thought I'd share my favorite recent fashion find. I purchased this watch for myself in late August as a birthday gift. Well, my birthday came and went on September 2nd and I forgot I had hidden it from myself in a drawer! I have always loved Dia de los Muertos artwork and when this piece found me I knew it was fate. I kept watch on it - pun intended - hoping the price would drop while also hoping it wouldn't sell out or disappear before I could afford it. Asking for gifts is something I never do, so asking the man or the girl to get it for me as a birthday gift wasn't going to happen. I also typically don't buy myself things I don't need since the small spending budget I set aside for myself is for racing. But in this case the timing (another pun, sorry) was just right. I had just completed a huge freelancing job that paid me quite nicely. I used the money to buy my daughter everything she needed for her college dorm and had just enough money left over to buy the watch. 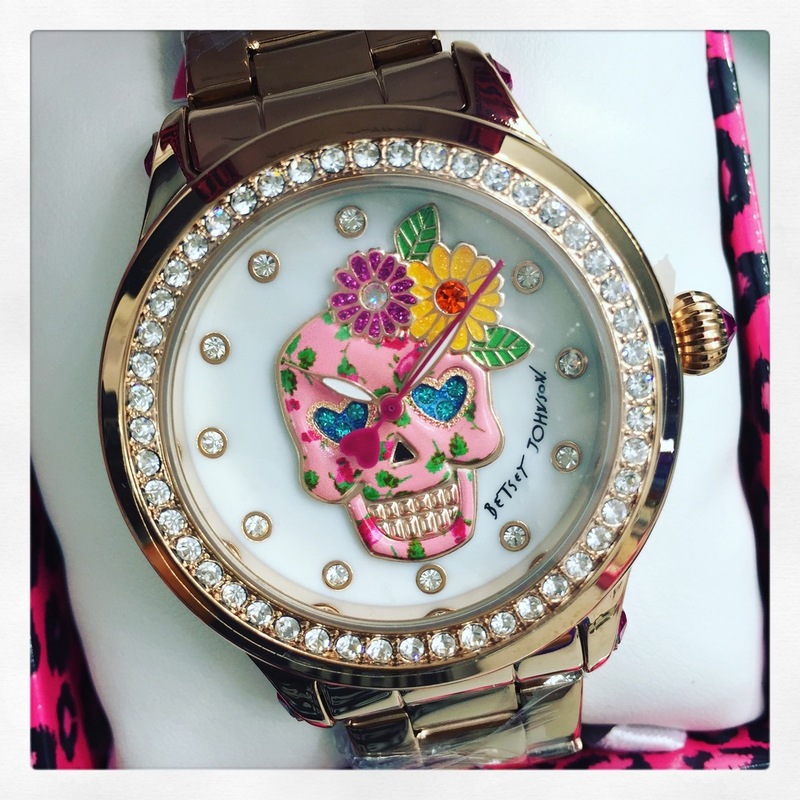 I love the rose gold band, the big beautiful dial and the detailed sugar skull. I'm not typically a watch girl, but this one caught my eye and I'm not letting her go.